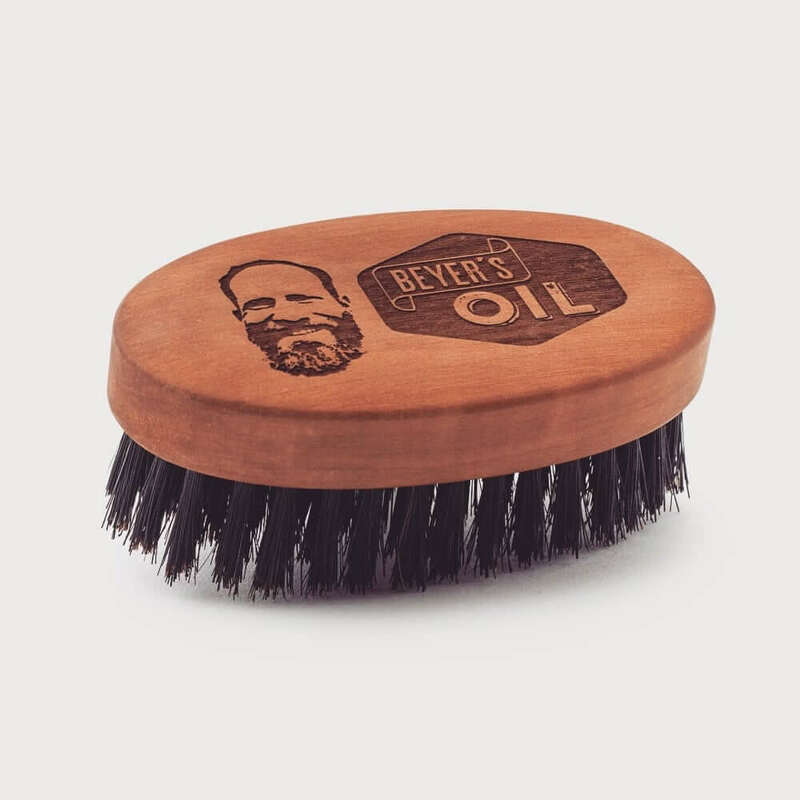 Beyer’s Oil beard brush, handmade in the Black Forest using pear wood and boar bristles. 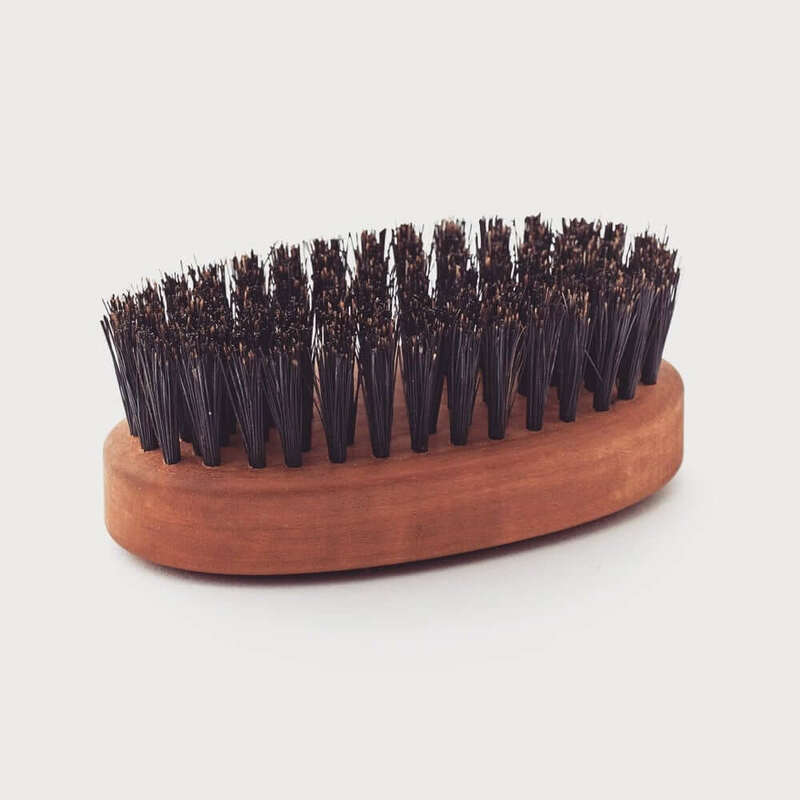 It measures 90 x 50 mm, shapes beard hair, massages the face and stimulates sebum production. Old beard hair is removed, the beard feels smoother, looks shiny and groomed. Handmade in Bavaria. All ingredients are 100% natural.